Operating Principles | PROSPERCO | Prosperco Logistics Int'l Corp.
Enterprise Slogan－Increasing your Competitiveness is our Core Motivation. Enterprise Vision－Connect the corners of the world via the ports of Taiwan. ．Integrated logistics that provides a one-stop solution for your complete logistical needs. ．Personalized planning and logistical management for each customer. 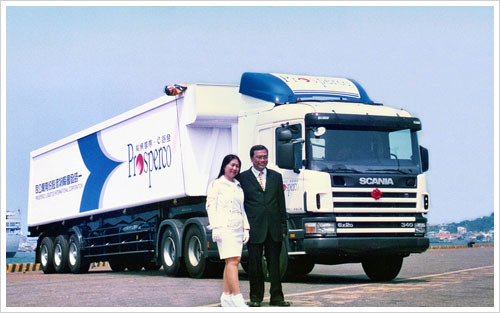 ．Fellow logistical companies can team up with Prosperco Logistics Int’l Corp. based on their needs and selected phases, thus increasing their competiveness.